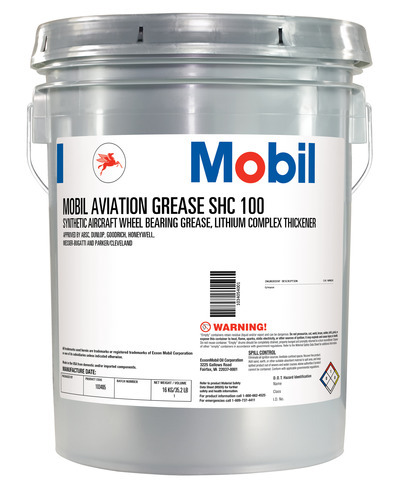 Mobilith SHC Series greases are superior performance products designed for a wide variety of applications at extremes of temperature. They combine the unique features of synthetic base fluids with those of a high quality lithium complex thickener. The wax-free nature of synthetic fluids and the low coefficient of traction (compared with mineral oils), provide excellent low temperature pumpability and very low starting and running torque. These products offer the potential for energy savings and can reduce operating temperatures in the load zone of spherical roller and ball bearings. The lithium complex thickener contributes excellent adhesion, structural stability and resistance to water. The greases have a high level of chemical stability and are formulated with special additive combinations to provide excellent protection against wear, rust and corrosion, and providing operating viscosity at high and low temperatures.